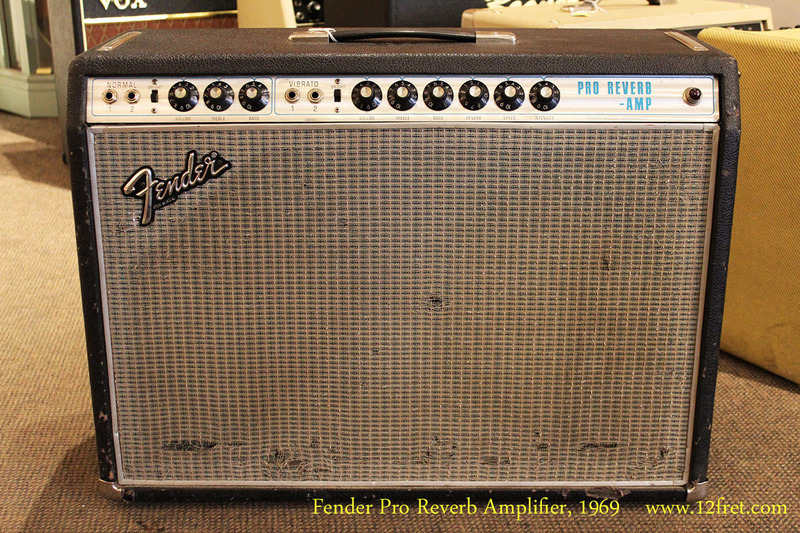 Built from 1965 to 1982, the Fender Pro Reverb amp originally pushed 40 tube watts (70 watts after 1976) out of a pair of 12 inch speakers. This ‘Silverface’ example dates to 1969 and has been used as intended, so it’s got some scuffing and the grillecloth has suffered a bit. The transformers date to 1968 and 1969, and it has been recently serviced so it’s in good working order. Its footswitch is included. 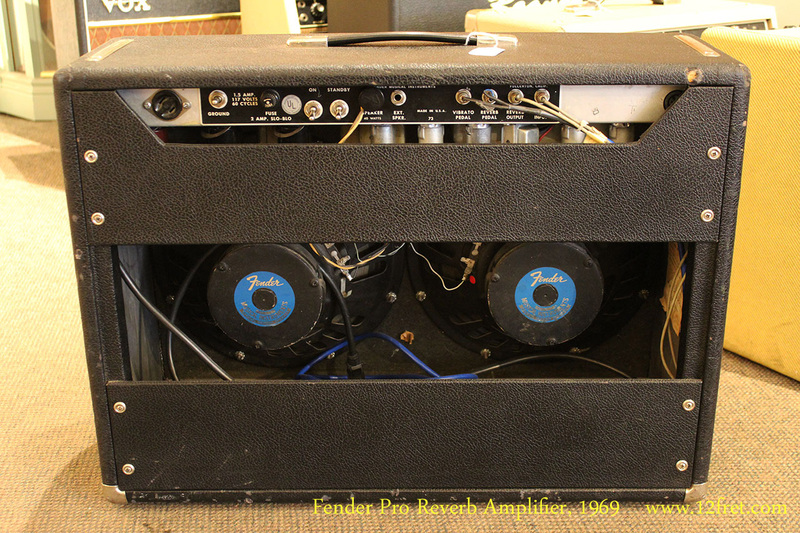 Serial Number: A12498, built during 1969 at the Fender plant in Fullerton, California.